Get The Midas Touch on Goldify slot at bgo Casino. 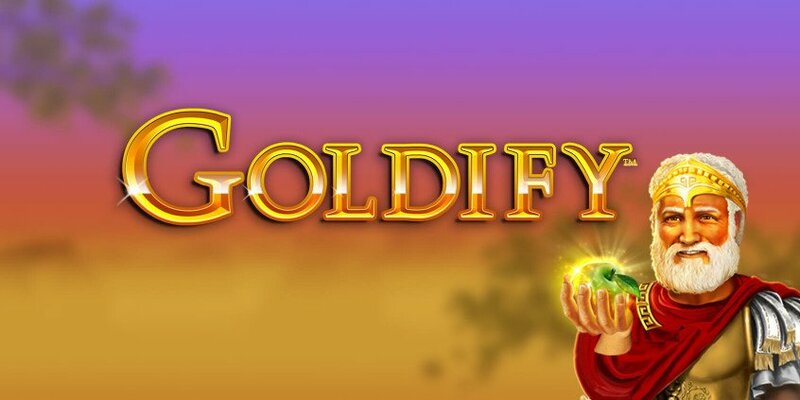 While we’ve seen a fair few video slots based on Ancient Greek mythology in our time here at Mobile Casino Man, it’s fair to say that IGT’s Goldify slot is quite unlike any toga-clad title on the market. A five-reel, 40-payline game, the slot is based around the legend of King Midas, a Phrygian ruler who famously wished for anything that he touched to be turned into gold. While this gift ended up being a curse for King Midas as he turned his daughter into a living statue of precious metal, in the Goldify slot it is definitely a blessing for players as they can choose a base game symbol to perform this alchemy on. At the start of the game, players can select any regular icon to turn into gold, with this increasing the value of any paylines that it features in by 5x. Of course, there is something of a balancing act to be struck here, as players must decide whether to choose a lower value icon that can potentially award more frequent pays or a higher value icon that won’t land as often, but will generate huge prizes. Fortunately, this dilemma will become less of a concern in the slot’s incredibly generous bonus feature, which can award between 15 and 100 initial spins with three to five symbols turning gold. Activated whenever three, four of five golden rose scatter symbols appear, players will receive 15, 50 or 100 bonus games with three, four or five “Goldified” icons improving their wins respectively. 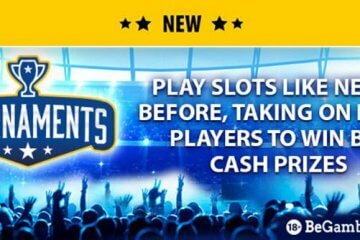 What’s more, this dazzling feature can be retriggered indefinitely up to a maximum award of 500 games, with a top level payout of 2,000x players’ line bet up for grabs on each spin should they match five “Goldified” Midas’ daughter icons on a valid payline and plenty of smaller wins available. With the Goldify slot recently being added to the roster of games at bgo Casino, one of our favourite mobile casinos, we’d recommend getting on over to the site now and trying the new slot out for yourself. To celebrate its launch, the popular mobile casino destination will be giving away £15,000 in cash from now until December 4 and all you have to do to enter is wager at least £10 while playing the slot to receive one leaderboard ticket. At the end of the promotion, a special prize draw will be conducted on December 5, with the 930 players who have earned the most tickets all receiving a payout. Be one of the top ten players on the leaderboard, however, and you’ll win a free £200 – now that’s what we call a golden handshake!